At least three states with governors that have announced FirstNet “opt-in” decisions may issue requests for proposals (RFPs) that ask bidders to submit proposals for an alternative radio access network (RAN), according to Rivada Networks CEO Declan Ganley. At least three states with governors that have announced FirstNet “opt-in” decisions may issue requests for proposals (RFPs) that ask bidders to submit proposals for an alternative radio access network (RAN), Rivada Networks CEO Declan Ganley said yesterday. Ganley made the statement during a hearing before committees of the Pennsylvania legislature, when he also reiterated Rivada Networks’ legal opinion that governors’ “opt-in” decisions to date will not be binding until the final decision deadline passes on Dec. 28. “No state has yet opted in; no state has yet opted out,” Ganley said during the hearing. “The opt outs happen and begin on Dec. 28. That’s legally when opt out starts; it cannot start before that. In August, Ganley said Rivada Networks’ legal advisers indicated to him that the “opt-in” decisions announced by governors of states and territories prior to the release of official state plans in late September were not binding. At that time, officials for FirstNet and AT&T disputed Ganley’s notion that announced “opt-in” decision are not binding. Similarly, AT&T spokesman Jeff Kobs in August said the company “vetted very carefully” the binding nature of “opt-in” announcements during the period before the final state plans are issued in mid-September and determined that they are binding decision. 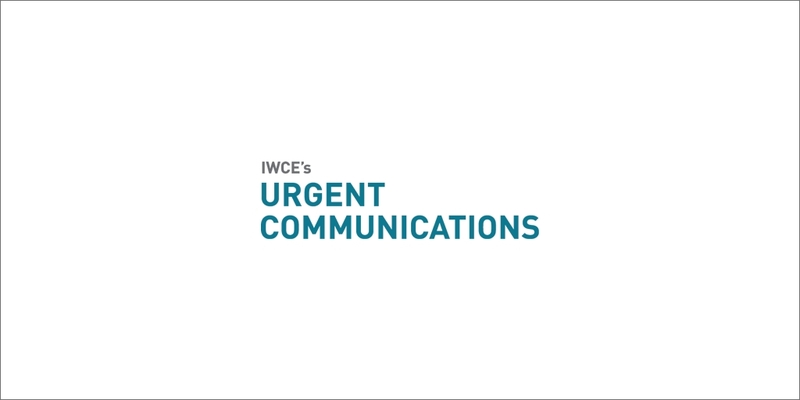 “From my perspective, that [Ganley’s statement that opt-in announcements to date are not binding] is very much misinformation,” Kobs told IWCE’s Urgent Communications in August. Thus far, 25 states—Virginia, Wyoming, Arkansas, Kentucky, Iowa, New Jersey, West Virginia, New Mexico, Michigan, Maine, Montana, Arizona, Kansas, Nevada, Hawaii, Alaska, Tennessee, Nebraska, Maryland, Idaho, Texas, Louisiana, Minnesota, Alabama and Indiana—have announced their “opt-in” decisions, as did the U.S. Virgin Islands and Puerto Rico territories. Of these “opt-in” states and territories, three—Michigan, Arizona and Alabama—issued an RFP exploring alternative-RAN options before announcing the “opt-in” decision. With Indiana’s announcement last week, exactly 50% of the 50 states have announced “opt-in” decisions. In addition, more than 50% of all states and territories that received initial state plans in June—27 of 53—have made “opt-in” announcements. Meanwhile, 14 states have issued an RFP without having their governors announce an “opt-in/opt-out” decision to date: Colorado, Georgia, Massachusetts, Mississippi, Missouri, New Hampshire, North Carolina, Oklahoma, Oregon, Pennsylvania, Rhode Island, Vermont, Washington and Wisconsin. Of these states, New Hampshire is only state to announce the winner of its procurement—Rivada Networks. The cost of freedom means we do have choices and do not have to blindly settle for the state backed carrier of choice. There is a viable option available that can at least compete with AT&T Firstnet build out plan. I commend the states that are weighing the choice of opting-in or out. I also commend the states that are rethinking their opt in decision. What we have is a failure to negotiate! Smart Governors and state leaders negotiate to secure the best solutions for their states. Yet, several states made opt in decisions without grant or revenue figures, existing tower leasing, Band 14 deployment maps, job creation figures, AT&T subscription charges, or the multi-million dollar value of the spectrum they were surrendering.